The TFA blog has a new home! 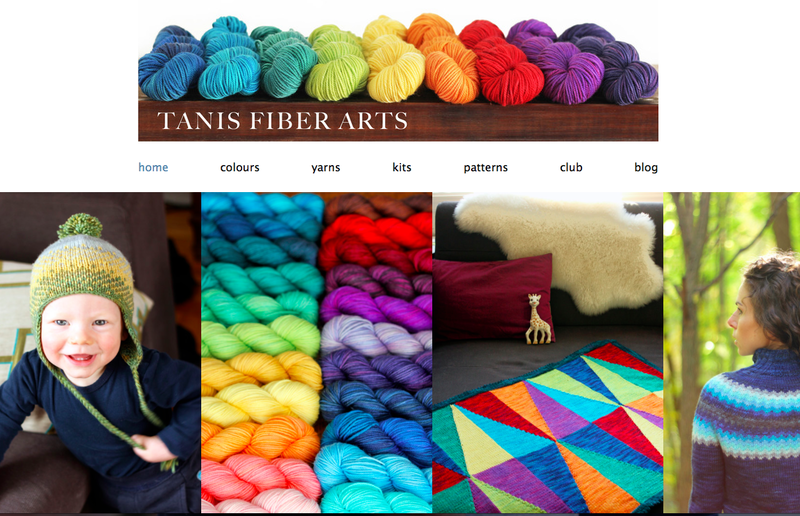 Head on over to www.tanisfiberarts.com/blog to see what's up! Be sure to update your preferred blog reading system to reflect the new address and don't miss a thing! Familiar with bloglovin'? simply click the button below to stay in the loop and get your TFA fix. I think that I just may have developed one of the worlds least efficient work methods. 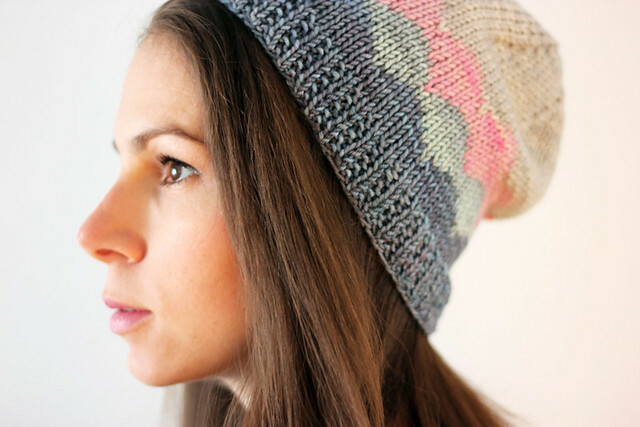 Some very clever designers are able to conceptualize a design in their minds, do a bit of swatching, write out a pattern and then have a sample knitter knit it up for them. In very rare cases I think that I might be able to pull that off, but more often then not I design a piece by knitting the entire thing myself... twice! So often I have an idea in my head and then as I'm working on it things change. By having the knit in my hands and working the stitches myself I start off in one direction and then the knit kind of takes me where it wants to go. For me, this system definitely works since every time the design that I end up with is much better than the one that I started off trying to accomplish. The fact that I knit my own designs is not what makes me an inefficient designer, the fact that I knit most of them twice is! That photo above shows a section of a sweater in progress. The sweater is now complete, ends woven in, blocked and in fact I'm wearing it as I type and I'm super happy to say that I LOVE how it turned out. The thing is, I've explored a few new techniques in this piece and the whole time I was working on it I questioned wether it would work out or not. As I was working on it I knew right away that there were a few things that I wish I had done differently, but because in the back of my mind I worried that this whole piece was going to get scratched anyway I didn't bother changing them and instead worked my way through the entire garment keeping notes about what I should have done differently. Don't get me wrong, this prototype is pretty rad, the little things that I want to change aren't deal breakers and probably won't even be that noticeable in the end. But they will make the pattern better so it's worth it. So now I'm sporting my prototype and tonight I'll dream up an alternate colour scheme to knit my final version in. The one that will be just perfect! I'm excited to share it with you all, but I've obviously got a few tweaks to make before it's ready for prime time. Speaking of making a few tweaks, I am in the final stages of a pretty major website overhaul! The website and blog will all be getting a brand new look and will look better, work better and overall just BE BETTER! That's the hope at least. I'm just giving you all a heads up that I plan on getting pretty serious about it this weekend and into early next week, so if anything looks weird or different in the next couple of days, bear with me! sock yarn on the left is by Caterpillargreen in the Concrete and Tulips colourway. sock yarn on the right is by Turtlepurl yarn in the Trenchcoat colourway (previously known as Burberry I believe). It would seem that I, along with every other sock knitter and knit blogger out there, have fallen hard for self striping sock yarns. 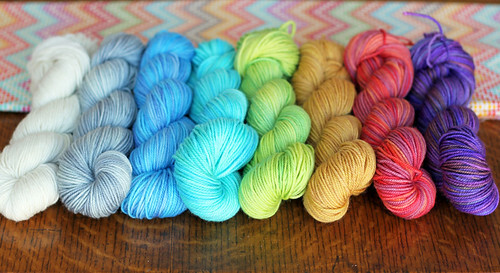 Bonus points if the sock yarn has been hand dyed! 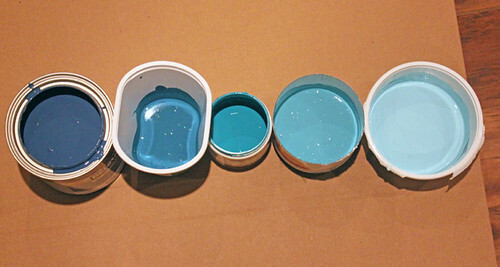 I can't even imagine dyeing yarns this way. 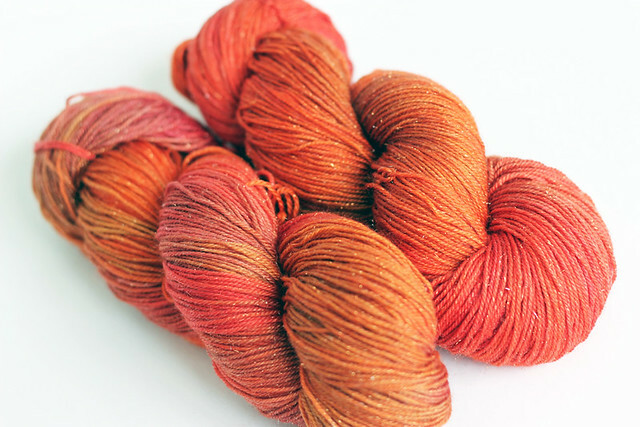 They are incredibly beautiful and lovely to knit with, but with every crisp colour shift I think to myself "my gawd! the work in this is off the charts!" Hats off to the clever and industrious hand dyers who are able to pull this off so beautifully, I don't think I have the precision for it. Which is totally cool by me because I'm happy to indulge in a little online yarn retail therapy once in a while and to support my fellow hand dyers! Anyways, ok, so knitting with these yarns is so much fun. I've got several more skeins in my stash (I went on a bit of a tear a few months ago) and at the moment I intend to knit lots of simple striped socks. I'm knitting both of these pairs toe up. Though I usually prefer top down, I find it so much easier to plan colour placement and maximize yardage with toe up socks. But then there is that pesky heel! I turned the heel on the sock on the right first, and I opted to do the new Fish Lips Kiss Heel that I've been reading about all over. You can't see it in this photo, I'll show more detailed shots when the pair is finished, but I'm not crazy about it... It was easy and clever but for self striping sock yarn like this it leaves a weird line right across the center of the heel. Also, I definitely wish that I had worked the heel from the other end of my ball of yarn so as not to disrupt the perfect stripes that I had going on. Lesson learnt the hard way. For the pair on the left I amended my heel knitting strategy and worked an afterthought heel so my stripes are absolutely perfect! Which really thrills me. I'm not usually so precise and have knit lots and lots of fraternal striped socks in the past and have lost absolutely no sleep over it, but for this pair I really wanted to aim high. 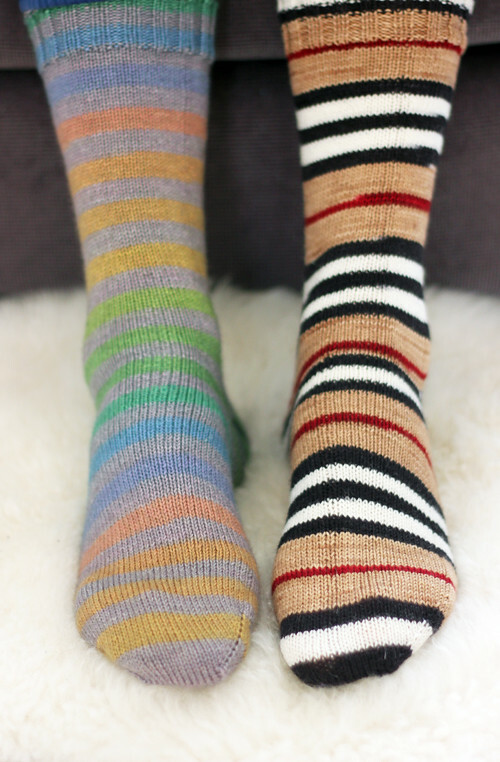 Isn't it funny how the sock on the right would be described as "mostly beige, white, black with a bit of red" and the sock on the left would be described as "multicoloured rainbow", yet it's the beige sock that stands out as the brighter and more vivid of the two? The rainbow stripes are so subtle and delicate. I love them both to pieces, though sadly, neither pair is for me. 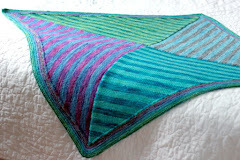 Have you caught the self striping sock yarn bug? I have a new free pattern to talk about (nothing to do with the above photo) but I've decided that it can wait until tomorrow because today I wanted to devote a post to something a bit more personal. 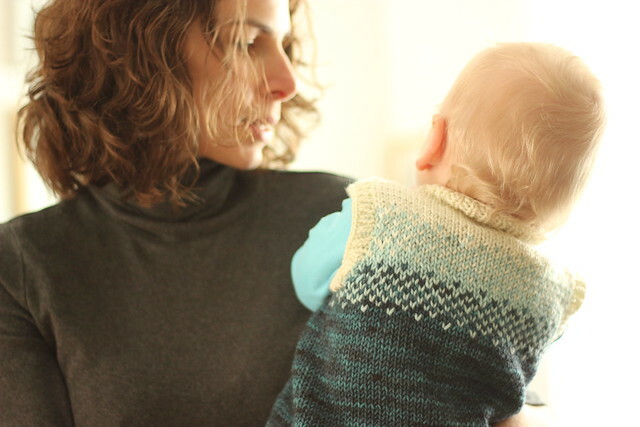 I wanted to say a huge thank you to all of you for not only "bearing with me" while I went on and on about Rowan turning one year old and all the knits I've made for him, but for being incredibly supportive of me and my family. There is definitely a small part of me that worries that maybe you don't want to hear about my baby or his party, that you come here for TFA news and anything that is not specifically knitting related is not welcome. But you've proven that line of thinking to be so wrong and I can't tell you how much I appreciate it! I've said it time and time again, TFA is a family run business, so any new TFA news is really new family news since everything that happens at TFA comes directly from Chris and I and affects Rowan too. When you run this type of business, the lines between work and play are so blurred. So much of what we do is part work and part life and so a bit of real life spilling over onto the blog is bound to happen. I'm just thrilled that you're all ok with that! When I started this blog TFA was but a distant dream, and I still think of this space as a personal crafting journal rather than a corporate brand promoter. Of course, I knit with TFA yarn a lot! And when I release a new pattern or new colours you bet this is the first place I'll come to talk about it, but to me it's more than that. This blog has turned into a huge part of what I love about my job. Writing blog posts has never felt like work to me. Looking back on older posts feels like looking through my old diaries, and I love that I have this place to come and revisit favourite memories. I do intend to continue to post about my family's special moments and occasionally pop in with something that may have very little to do with knitting. Although like I said, my life = knitting, so a real life post with no knitting/yarn/colour/crafting content seems highly unlikely! So, thanks for the support, and oh ya, cute picture above right? Rowan photo-bombed my Eventide Shawl photoshoot. 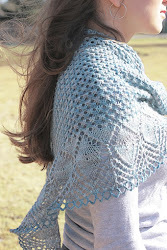 The Eventide Shawl you ask? Why yes, that's a new pattern that I'll have ready for you before the end of the month. That shot is one of my favourites of the day. So you see, our work photoshoot turned into a lovely mother/son memory for me. I already have this photo printed and in a photo album. Look at how shiny and blond his hair is! What I wouldn't give for hair like that. It's silk! 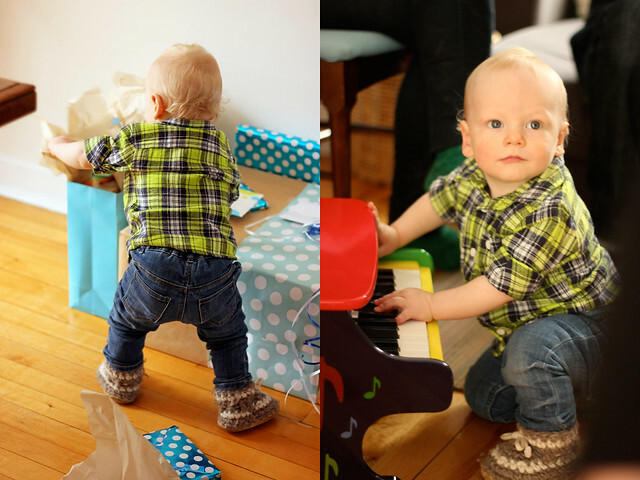 As you all know (since I must have mentioned it at least 100 times by now) Rowan turned 1 year old on Friday, April 4th. We had a birthday party for him on Saturday. The whole thing was a ton of fun and I am so incredibly happy to be at the point in my life where I am throwing a birthday bash for my own baby. It's surreal. It feels like it was just yesterday that I was wearing my own party dresses and playing hot potato in my parents basement at my own birthday party. 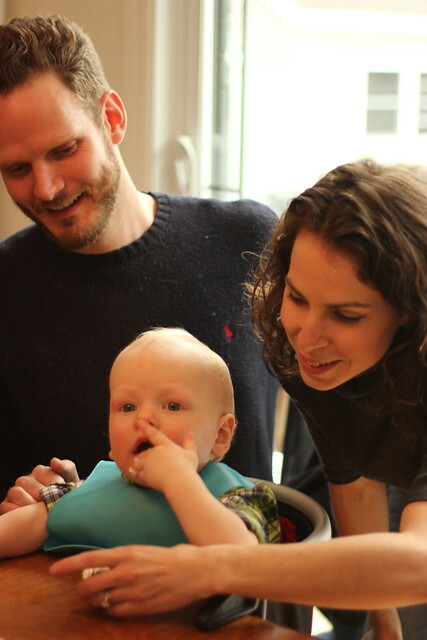 I don't know when I became old enough to have a baby and bake special birthday cakes for him and celebrate one whole year of his life, but it happened. And it feels amazing. Actually, it feels more than amazing. It feels like everything all at once. Every single emotion. I think that the only way to really describe it is to say that it's overwhelming. This past year has been the most challenging, exhausting, rewarding, empowering year of my life. Rowan is such a fun, curious and happy baby. Happy really is one of his defining characteristics. That kid just loves life. It's amazing to see. 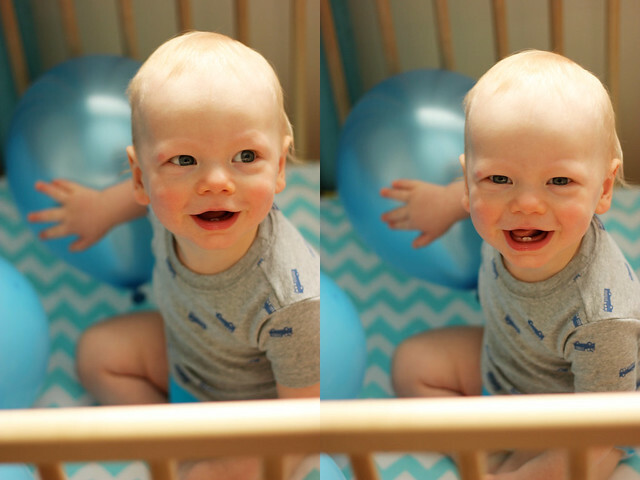 Getting to spend my days with that kind of happiness and those giant toothy smiles (5 teeth now!) is just about the best thing ever. I feel very blessed. Rowan's birthday was a blast. He thoroughly enjoyed the day with friends and family. 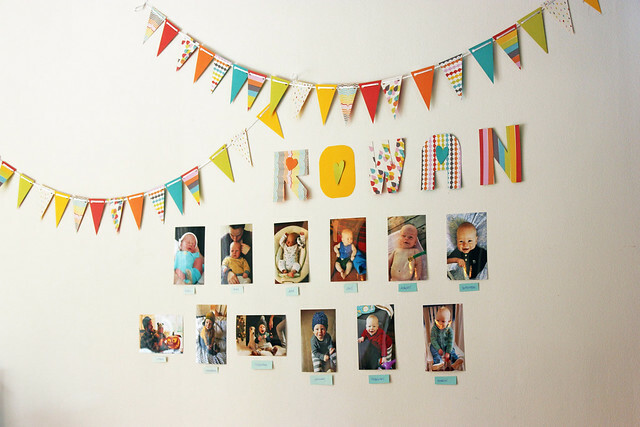 A few funny details about the day: I made those paper buntings and put up a photo for each month of the year to show how much he grows and changes every month. 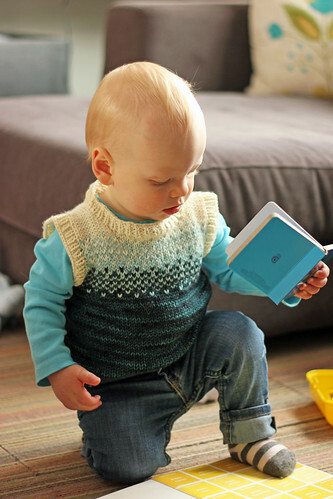 Completely accidentally he is wearing a different hand knit in 8 of the 12 photo's! 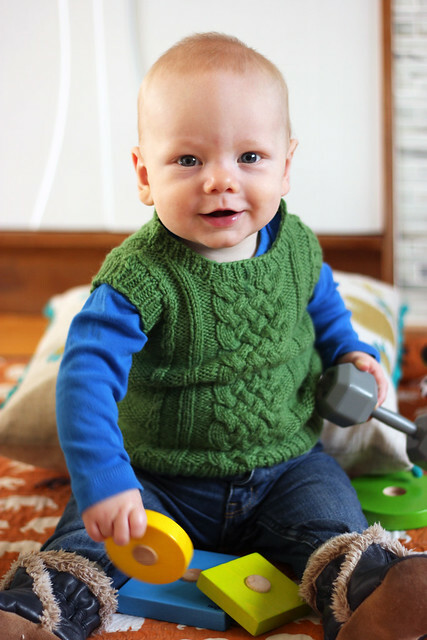 I let him off the hook and didn't dress him in knits June through September, but the rest of the year was all knits, all the time. Funny right? 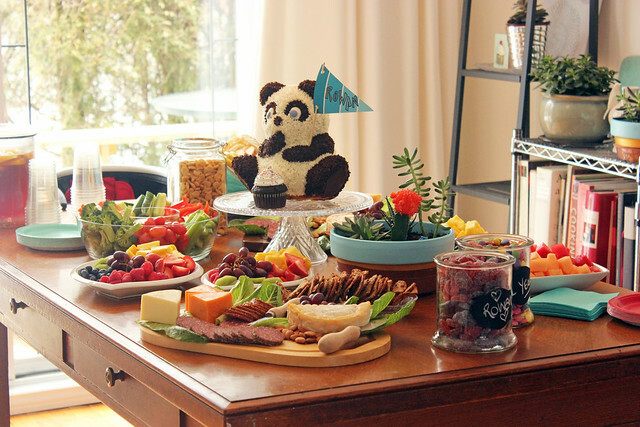 I baked that awesome 3D panda cake myself and am incredibly proud of it! I rented the pan and everything. It took me all day to make, I'd never done anything like that before, but man was it cool. 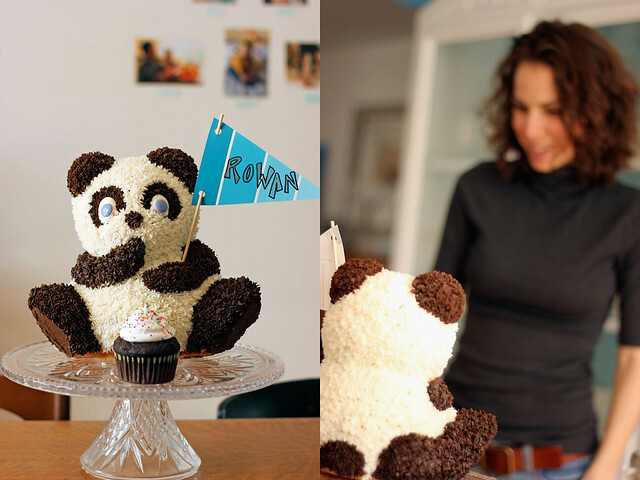 I may have cried once during the process and expressed super dramatically that I was a total failure because my panda's right arm looked weird, but I pulled myself together and Rowan's panda cake looked great. I also made cupcakes because though the panda looked awesome I was pretty sure that it was going to taste like a brick of sugar, I was wrong, it was totally edible. But the cupcakes were a delicious bonus too. Rowan, however, preferred the pineapple... I could have just made him a fruit salad and called it a day - ha! 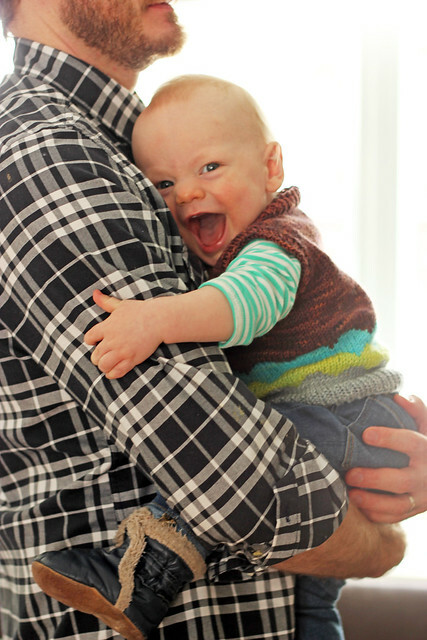 The classically cool hoodie - A wardrobe staple for both men, women and babies alike! 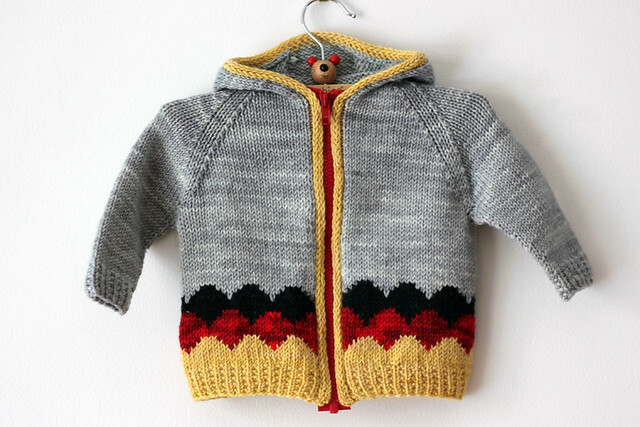 I designed this hoodie for Rowan, with the quintessential kangaroo pockets, zipper and hood, and it has become one of his most worn handknits because it just seems to always be appropriate. The hood fits snugly over the head (and stays on!) so it doubles as a hat on cooler days. Don’t let the zipper scare you off! 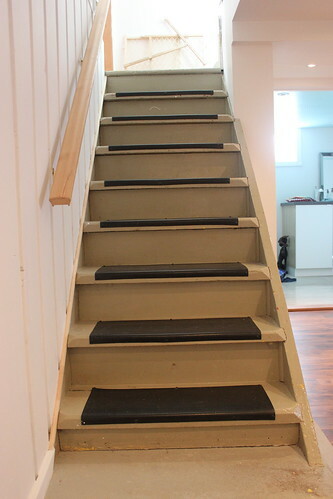 Though it takes a bit more effort during installation, it more than makes up for it in ease of use. 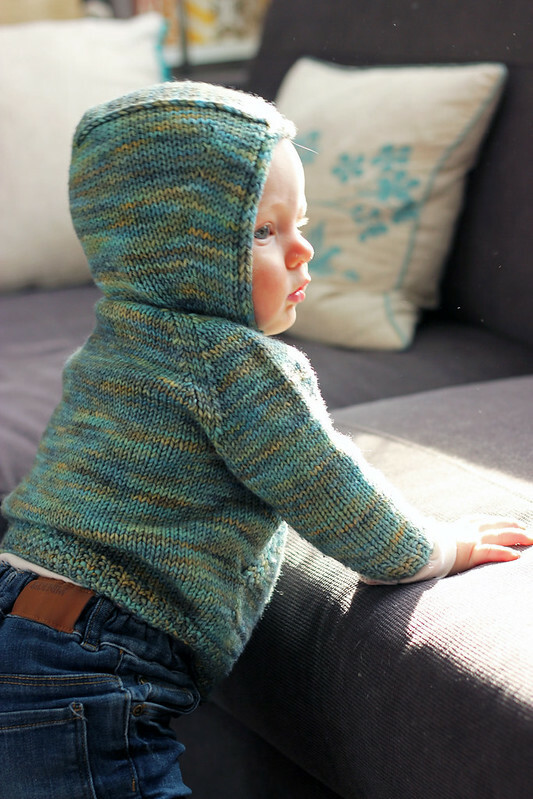 This hoodie is the very first thing that I knit for our Rowan. 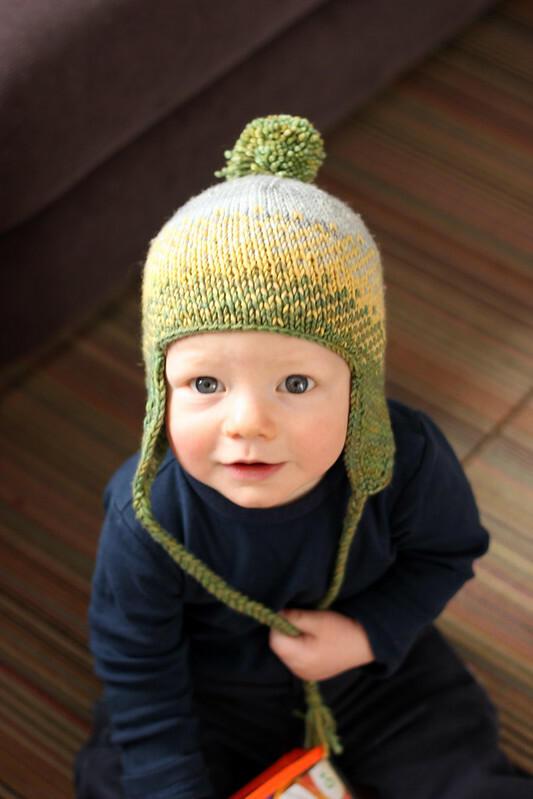 I knit a whole bunch for him before he was born, but they were all for "the baby". After Rowan was born and the dust settled a bit I naturally wanted to design something special for him and when I asked Chris what that should be, he immediately said "a hoodie with a zipper and pockets". He didn't even have to think about it! So, mission accepted, I cast on for this simple little hoodie, worked my way through the body with the pockets no problem, the sleeves and the yoke were a piece of cake. I knew that I wanted to trim out the fronts with a really neat i-cord edging… all that was left to sort out was the hood. But oh man, that hood! My mom and I must have knit no less than a dozen prototype hoods between the two of us. I had gotten it into my thick skull that I really wanted a very specific type of hood. One that would fit snuggly, would stay on and wouldn't be too bulky. 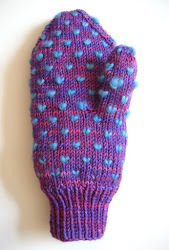 The design I came up with is sort of like the heel of a sock. It took forever to get it the way I wanted it, but it was so worth it because in my opinion it really is a very cool hood! Rowan has a little cousin named Ross who was born only 2 weeks after him. 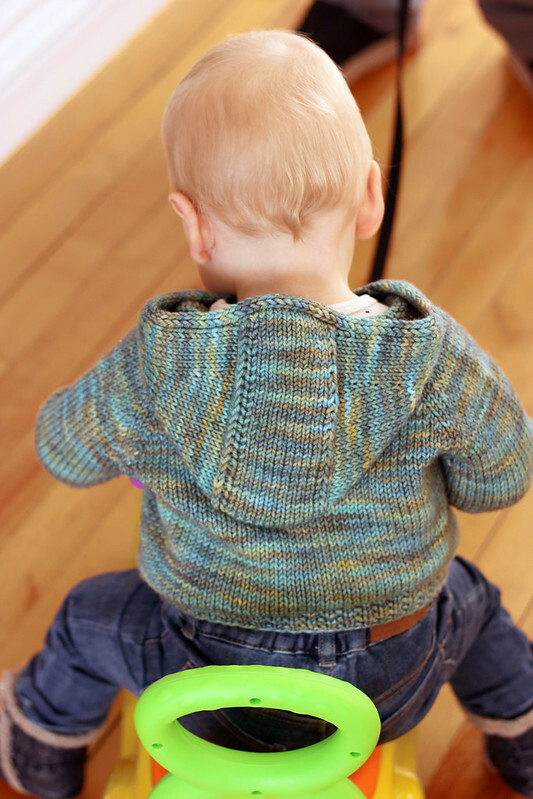 I knit Ross his own little hoodie (R&R actually stands for Rowan & Ross!) and for Ross' version I experimented with adding a bit of colour and I love the results. The i-cord edging around the fronts really is the perfect spot for adding a pop of contrast and why not play around with a different coloured zipper while you're at it? 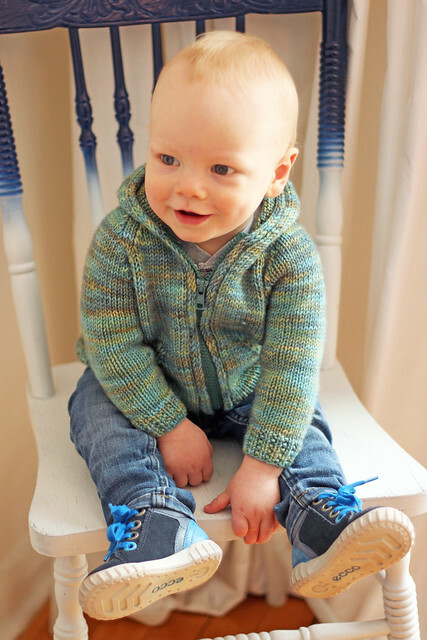 I'll be knitting a new hoodie for Rowan soon (he's just about outgrown his Lucky Penny hoodie!) and I'm thinking it'll be grey with a neon green zipper. Fun right? 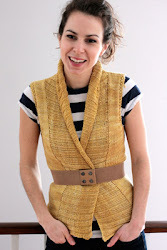 And if you like that scalloped colourwork pattern as much as I do (I used it on a Schoolboy Vest too!) you're in luck because I've got a free pattern coming out next week that features this motif, so you'll be able to apply it to all your Lucky Penny knits no problem. Stay tuned! So lastly, we've got to talk about that zipper! I think that a lot of knitters (myself included) are a little apprehensive about sewing a zipper into their hand knits. But I'm here to tell you that it's really not that bad! It requires a little bit of careful positioning and pinning, some easy sewing and that's about it. 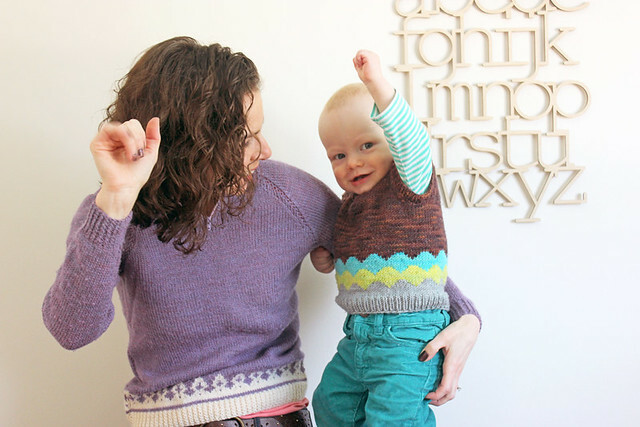 The very first sweater I ever knit for Chris had a zipper, and though I'm not in any particular rush to hand sew a zipper into a man sized sweater any time soon, for a little sweater like this it was a piece of cake. So there you go! This concludes Lucky Penny Baby week! 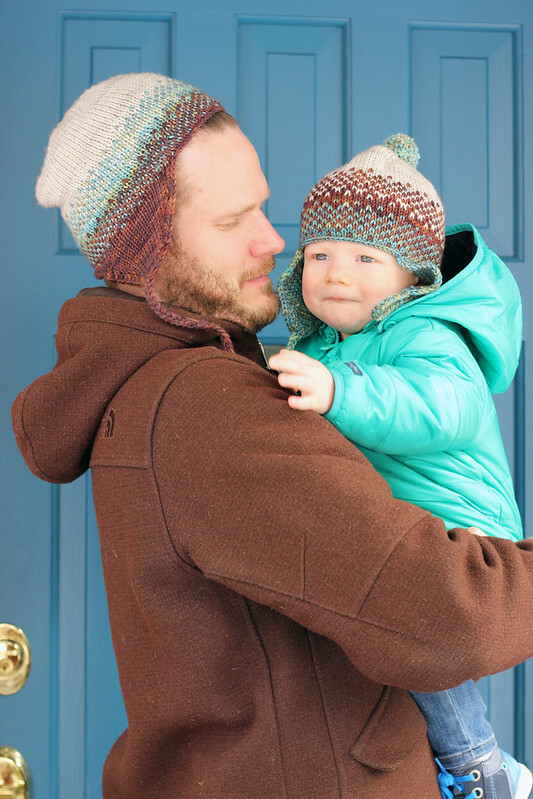 I hope that you enjoy these patterns and that you get a chance to knit them for the sweet little babies in your life. Tomorrow is Rowan's birthday. He will be 1 year old and I am excited and nostalgic and overwhelmed all at the same time. Happy Monday everyone! 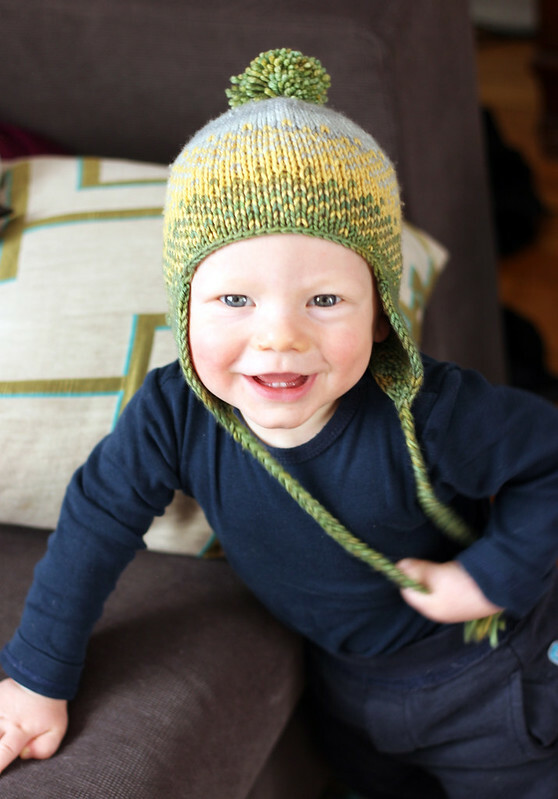 So, last week I announced that the collection of patterns for baby boys that I've been working on for over a year now was finally finished and available for all to knit and enjoy! 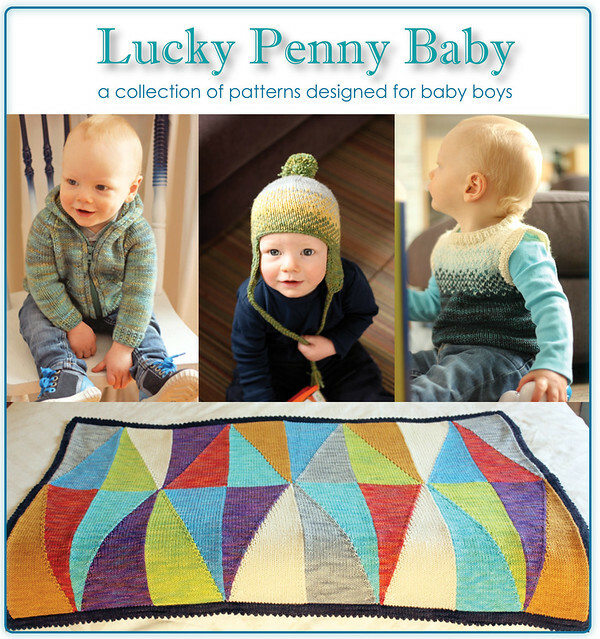 Well, this week I hope you'll indulge me in a little more in-depth chit chat about the four patterns that make up the Lucky Penny Baby collection. It is Rowan's first birthday on Friday, so I'm very much feeling the need to go through photos from the year and share some memories. 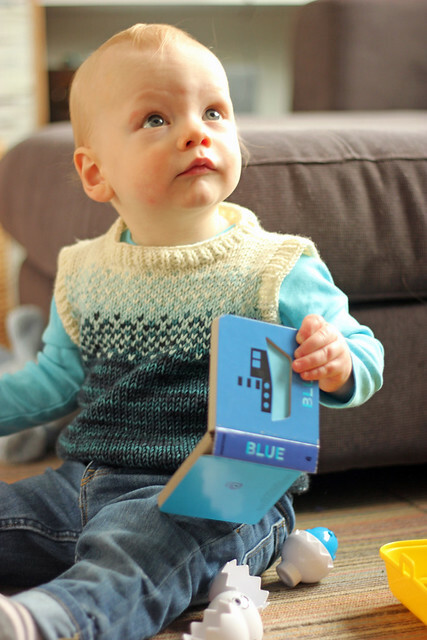 And man, do I have a lot of photos of this kid and his knits. Let me tell ya! All of the patterns featured in the collection are available for purchase individually, or as part of the collection. Also - I designed these patterns with my son in mind and will frequently refer to them as "for baby boys" but don't for a second think that they wouldn't be just as awesome for little girls! They are totally unisex. Baby Rowan was only 7 months old in this photo! 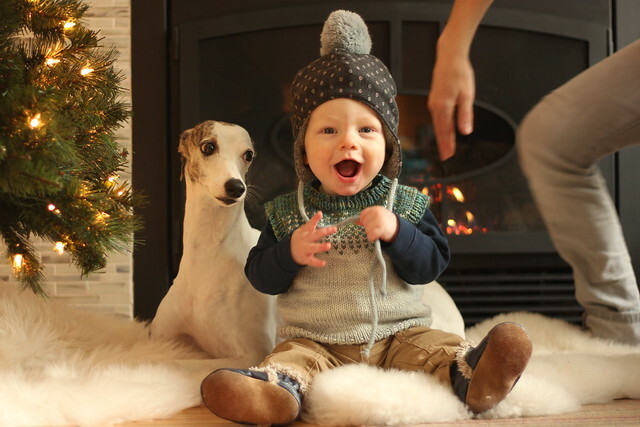 He was so excited throughout this shoot. This shot was supposed to be just to test for light. I snapped about 8 photos of him displaying off the charts levels of enthusiasm. They are hilarious! It is my experience that one can never, ever have too many baby blankets. I use them in the car seat, in the stroller, in the crib now that baby is older, as decoration over the back of a chair, as a peek-a-boo toy! You name it! 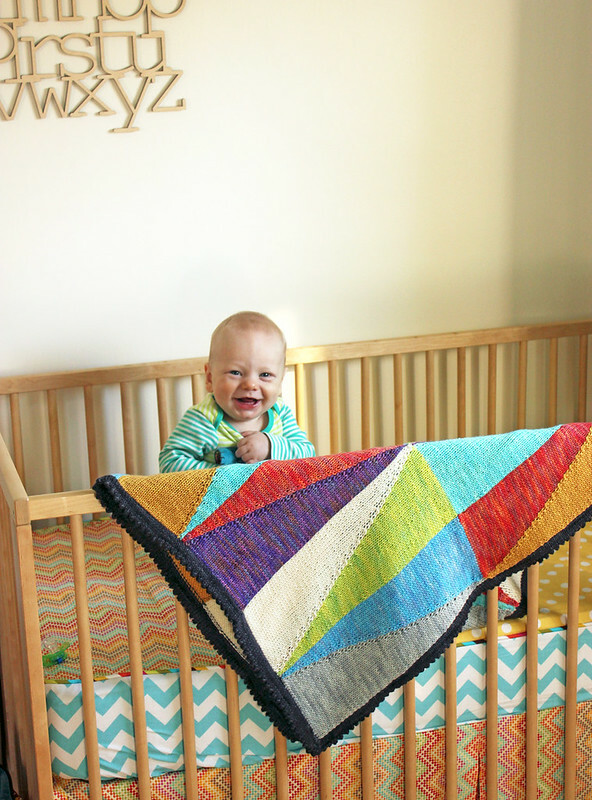 Baby blankets are truly a labour of love and seeing as it is something that the baby will never outgrow, it is perfect heirloom knitting. A gift that the baby in your life will cherish forever. 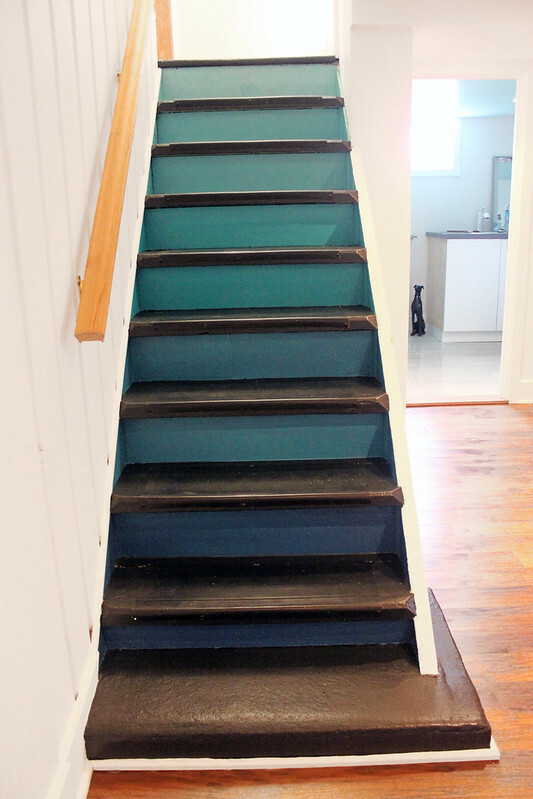 This bright, graphic design was inpired by the colour palette of my son’s nursery. It’s modern, crisp and fresh. 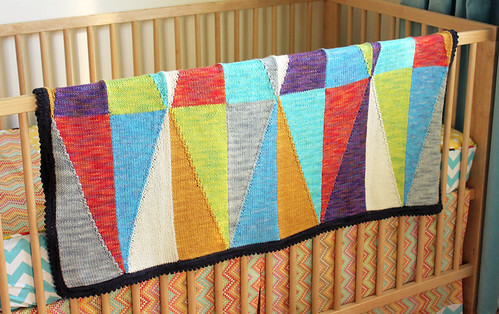 It seems appropriate to start "Rowan week" by featuring the Keyfit Baby Blanket pattern since it was the first design that I completed for this collection over a year ago. This was one of those designs that came together very quickly. My mom and I sewed all the bedding for Rowan's nursery (more on all that fun here) and when I picked out this fun polka dot chevron fabric for the bed skirt I loved it so much and found the colour palette so inspiring that I immediately played with my TFA colourways and put together a Palette to match. Which, incidentally, is now available as one of my TFA Palette kits! I had been thinking about this particular triangle and diamonds graphic pattern for a while. I pinned an image on pinterest featuring this design ages ago. I couldn't get it out of my head and a baby blanket was the perfect place to use it. This blanket requires lots of seaming. 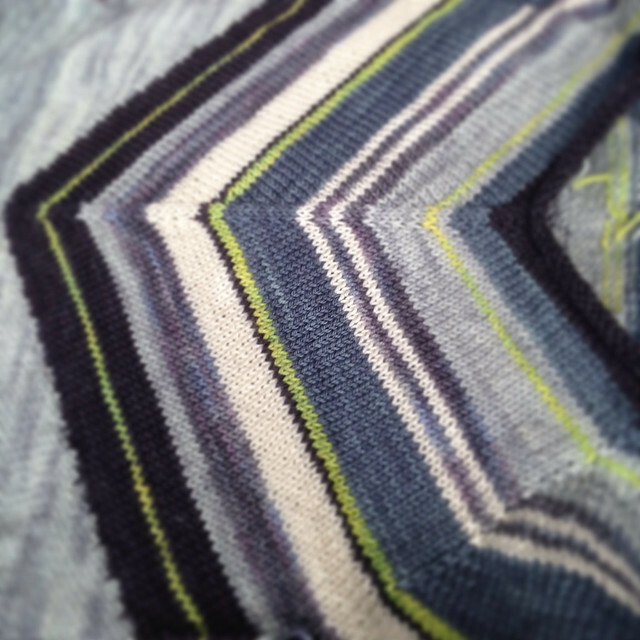 The panels are knit first using intarsia, in big blocks of colour. You're only ever working with two colourways at a time. Don't let that scare you! A little bit of seaming is so worth it. Watching it all come together as you sew it together is all part of the fun. 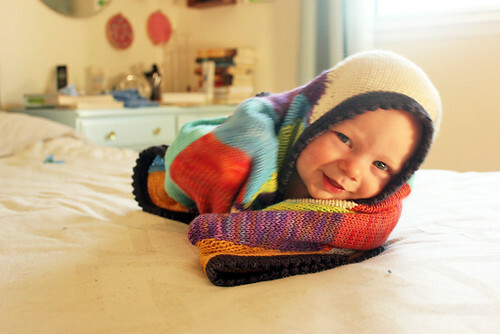 Rowan has lots of knit baby blankets, we love them all and they are all special, but this is the one that he wrapped himself up in and rolled around on my bed in, which resulted in me getting the above shot which is one of my favourites of all time, so to me, this blanket will always be a little extra special. Well gang, I've been working on this collection of baby boy knits for over a year now. 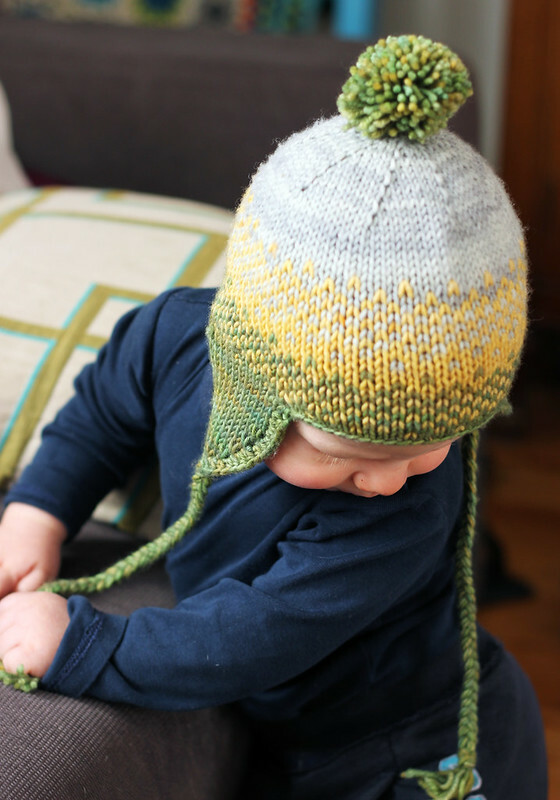 The first pattern I worked on was the Keyfit Baby Blanket, I blogged about it being almost complete last February, more than a month before Rowan was born! Rowan will be 1 whole year old next Friday (boohoo, don't mention it!) so it's fair to say that this collection has taken me longer to wrap up than it took to make a baby. Anyways, lets not dwell on that. It's out now and I love it! I guess the good thing about taking so long to get things organized is that I have had a full year to test out these designs with my own baby boy and I can now tell you, with total sincerity, that we have used and loved every single piece. This collection truly makes up Rowan's knit wardrobe staples. 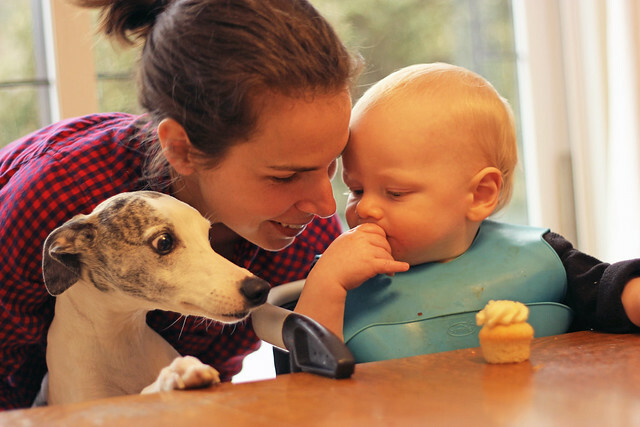 In my humble opinion as a mom, these are the classic, baby boy must haves. I probably don't have to mention this, but I'll point it out anyways just in case anyone is on the fence about it, but this collection would obviously be perfect for a baby girl's wardrobe as well. I'm all about the little boys these days, but that's because he's all I know! But don't let all my talk of little fella's trick you into thinking that your little lady couldn't rock everyone of these pieces. So, because I've spent an entire year fussing over these patterns I am going to give myself permission to stretch out the chatter about them for as long as possible! Haha. I mean one blog post would not be enough for me to get this out of my system. So today I'm just here to let you know that the collection is live and available for purchase, and next week I'll be back with all the details on each piece. Oh, and tons of baby photos, since next week is Rowan's birthday week. You've been warned! Patterns are available individually, or sold together in the collection for a steal! I think that many of us would agree that this has been possibly the longest and coldest winter of all time. In the past I've featured a more springy green colourway for March and have always mentioned something about "the promise of spring being just around the corner". This year, not so much. Spring is nowhere in sight. So, to totally rebel against the chill we've cooked up a fiery hot Fiesta orange shade for this months Club shipment. And added a dash of sparkle no less! Nothing can keep us down! 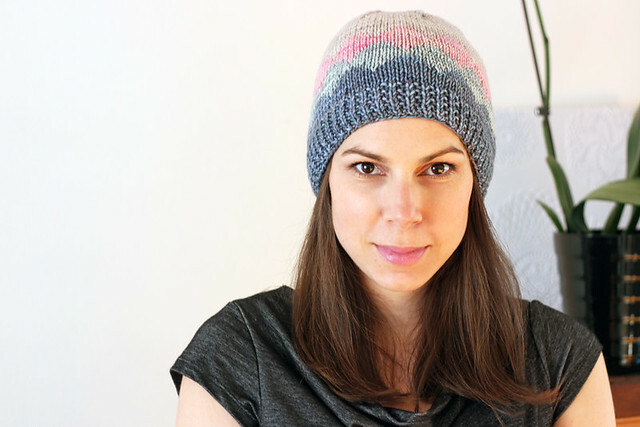 In classically awesome Julie style she's designed two patterns to make the very most of every last yard of 1 skein of TFA Cosmic Blue Label yarn. 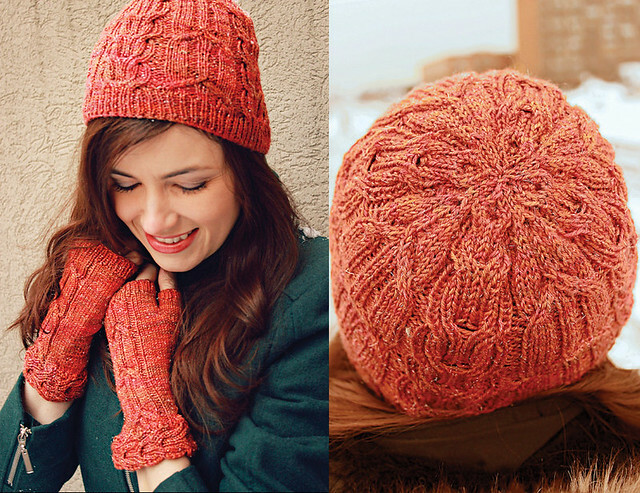 The Causerie Hat and Mitts set feature a beautiful ribbed cable. 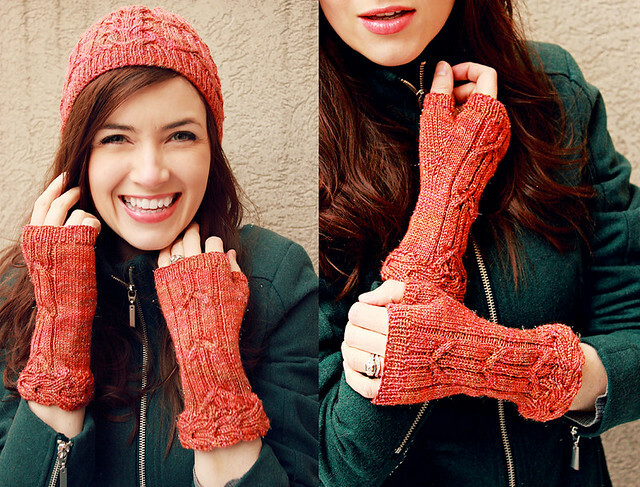 The fingerless mitts feature a really cool knitted on cuff (see how the cables go around the cuff? awesome right?) and in case you've never tried that particular technique before, Julie has made a great little video to walk you through it step by step. Club memberships are available all year long, it's never too late to sign up! Join now and you'll receive your January skein and March skein along with the next shipment of Club yarns in May. And don't forget! This year we're offering a "patterns only" option. 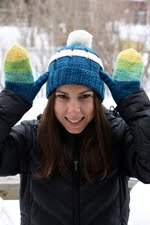 So if you'd like to knit yourself the Causerie Hat and Mitts set with stash yarn, you totally can!